After jetting around in Europe, where I spent an average of 1 week per city, I decided to take it even slower in Central and South America. After all, the visa is easier here. I mean I get 90 days for Schengen which is for 24 countries, while I get at least 30 days per country in those that I can go to here. First time in Central America. I was not totally surprised but it was still curious to observe the striking similarity to the Philippines. The churches, the plaza, the market — I could very well be in one of the provinces, with the differences being (1) weather –I thought it’s summer in Costa Rica? It’s freaking 16 degrees in the morning and 10 in the evening, but about 25 during mid-day. And (2) that I don’t understand them (language barrier which I hope to overcome in time). 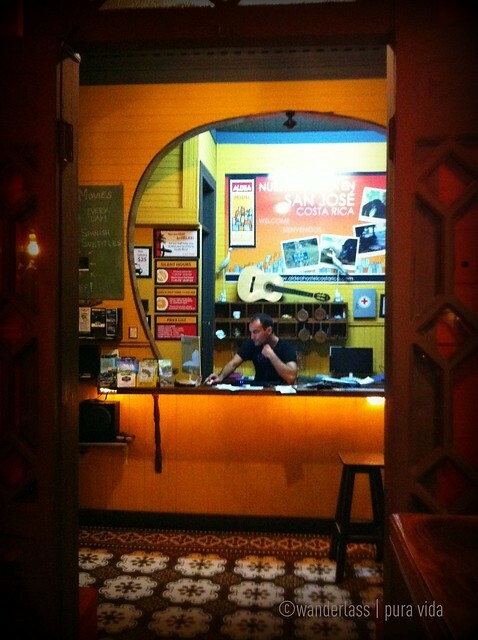 I took a volunteer post at a hostel in San Jose, Costa Rica. I just find it amazing how random I can be on this trip! I originally plan to get a short-term apartment but thought it would be boring to live alone in a city where I know nobody. So the hostel gig seems like a good idea for now. Most likely I’ll be spending Christmas and New Years Eve here. While I’m here, I also hope to learn Spanish and dance salsa. On my first day volunteering, after pushing the snooze button for the last time, I got out of bed, wondering if I was crazy taking a “job” that makes me wake up so early, 6:00am. I make the coffee and set the breakfast buffet. I could be sent to buy bananas, bread, butter, detergent, or whatever. When breakfast ends at 9:30am, I clean up and go change bed sheets emptied by the guests. For lack of better term, I say it feels a little funny, as I never had to do these chores in my life. I had made (significantly) more beds in 4 days, than whole of my life combined. I can now add domesticated in my list of characteristics. I suppose this is character building. My agreement with the management is that I would volunteer for at least a month. I don’t get money, only bed & breakfast in exchange for 4 half-day work (20 hours/week). Then I have 3 days to do whatever. 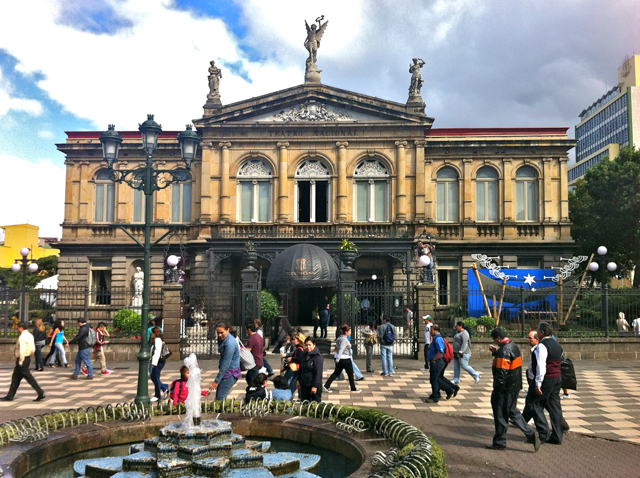 San Jose is the capital and in the middle of Costa Rica, so it’s just as well since wherever you want to go, you have to start in San Jose. I stay in the staff room that is now livable. They sent the cleaning lady to clean it and I made sure I was there to super, haha. I even bought all cleaning and bleaching stuff to clean off the disgusting stains in the toilet and sink. Right now, you can almost sleep in there. If only I can send for Darlina. The management and I had one week to quit each other. After a few days of getting up so early (and other stuff), I thought of giving up. But I like the people who works in the hostel. This is the reason why I decided to stay put in one place. I’m not melancholic but I thought I may want to spend Christmas or New Years Eve with people I know for more than 24 hours. It’s also really interesting being in the hostel with stream of different people coming in and out. Sometimes I feel like in a sitcom and having weird characters as guest stars. 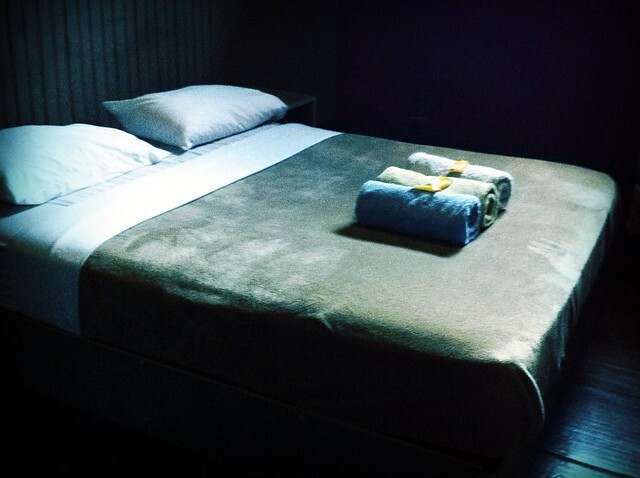 I have many hostel guest stories that better be told when I’m already out of the hostel. Finally, I’ve also come to peace at being the runner-girl. At least I get the walking exercise I’m used to. I didn’t sign up to run the business after all. 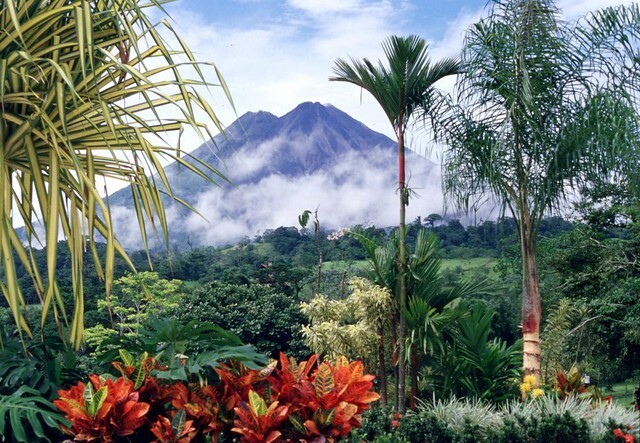 Costa Rica >> Panama >> Colombia >> Brazil >> Bolivia >> Peru >> Ecuador. I’ve no ticket yet, but I will book the first few legs soon. It is over six months since I started this trip and I’m amazed myself that it’s still amazing. I believe that the change in scenery is a great boost and renewed my energy. Latin America is so colorful and so upbeat, so friendly and so positive. I expected the weather to be warmer, but it’s warm during mid-day. And while I saw amazing things in Europe, in here I’m going to experience amazing things. I will travel by planes, buses, boats. The journey is going to be fabulous. Stay with me! Its nice to read your Latin American post, and it really inspire me to visit places like peru, argentina, chile and ecuador. Wonder, why did you skipped Mexico, the Yucatan part of Mexico is really amazing. The Mayan culture is awesome. I was there last year.